Enjoy the top 12 famous quotes, sayings and quotations by Avi Rubin. 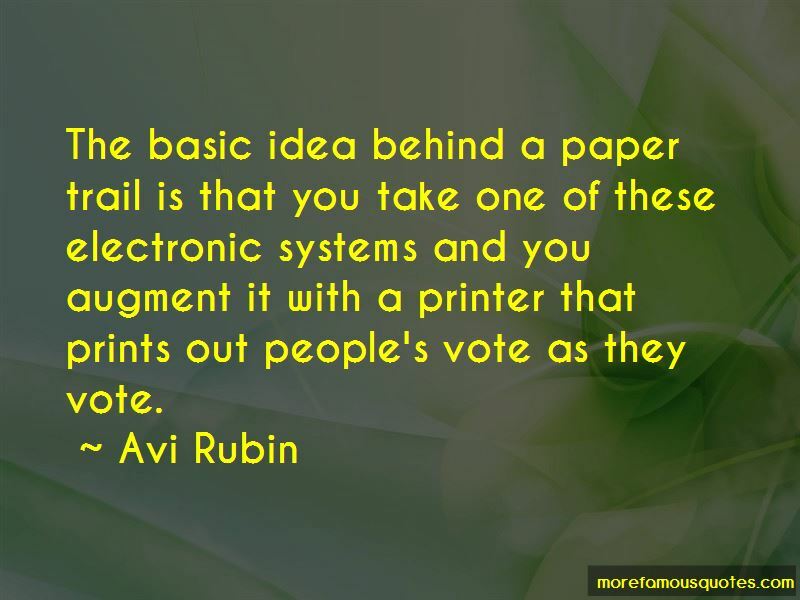 The basic idea behind a paper trail is that you take one of these electronic systems and you augment it with a printer that prints out people's vote as they vote. 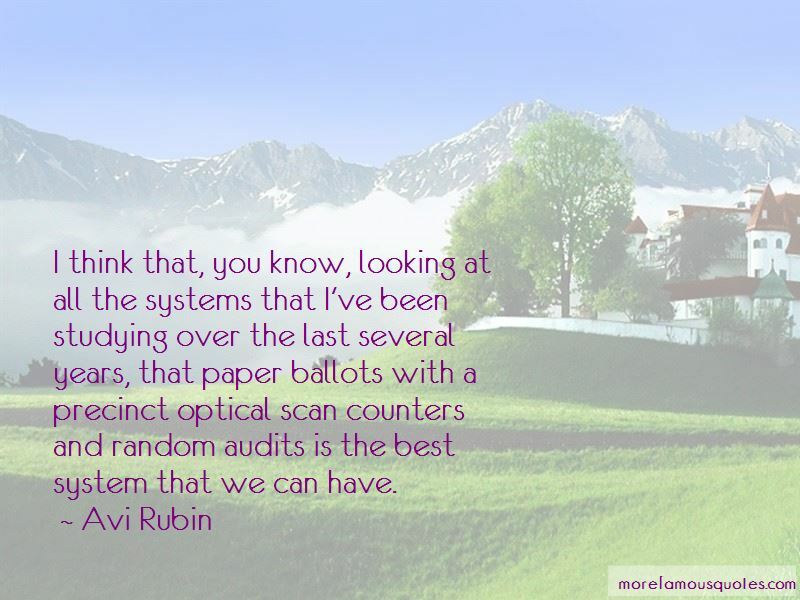 I think that, you know, looking at all the systems that I've been studying over the last several years, that paper ballots with a precinct optical scan counters and random audits is the best system that we can have. What we did is important because we proved that virtually all of the wireless networks used by companies and hospitals are completely open and offer no protection for the data on them. I don't think with today's technology we can have a voting system that is fully electronic that can be trusted. 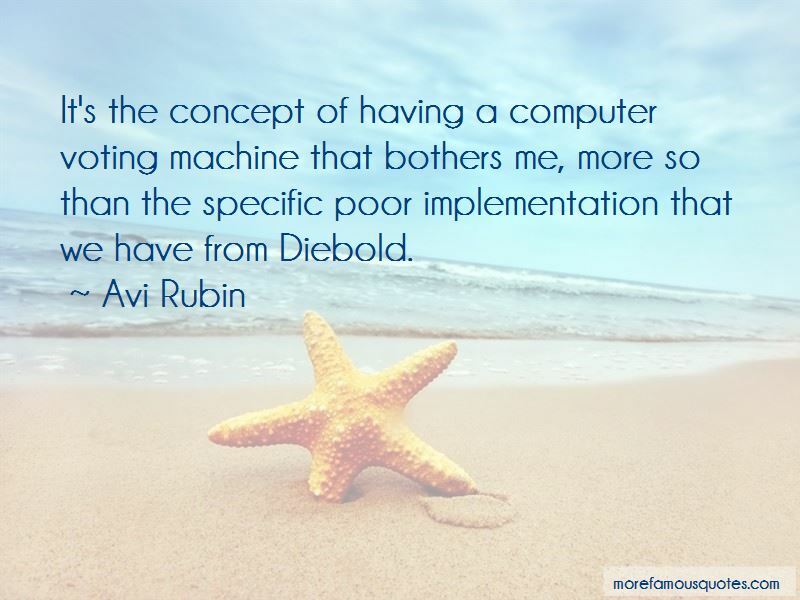 Want to see more pictures of Avi Rubin quotes? 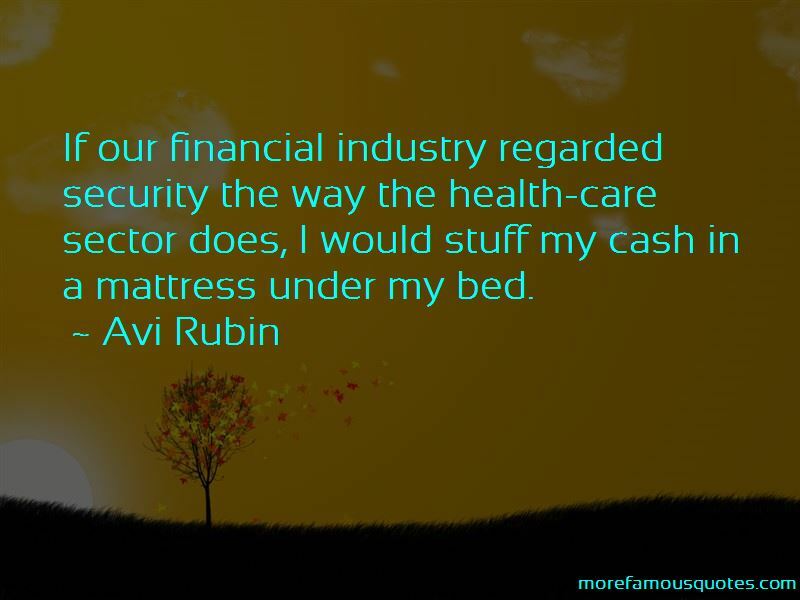 Click on image of Avi Rubin quotes to view full size.